Does it bleed down while you are operating the tractor or only after you shut it off? Check the oil level if the system pump is noisy. Fill as necessary. Replace the oil and the filter if the oil viscosity is not correct. Check to see if the reservoir air vent cap is plugged. Check for air leaks in the air pump inlet line and fittings if there is low system-pump oil flow. Replace if necessary. Check to see if the relief valve is partially left open. Close the valve if open. Check to see if the boom arms are binding at the pivots if the arms do rise and lower correctly. Lubricate the linkage if necessary. See if the cylinder shafts are bent. Make sure that the boom and bucket are not overloaded. Check the inlet to see if there is low oil flow coming from the pump. That's a pretty common problem , both with the 3pth and also with FEL's. 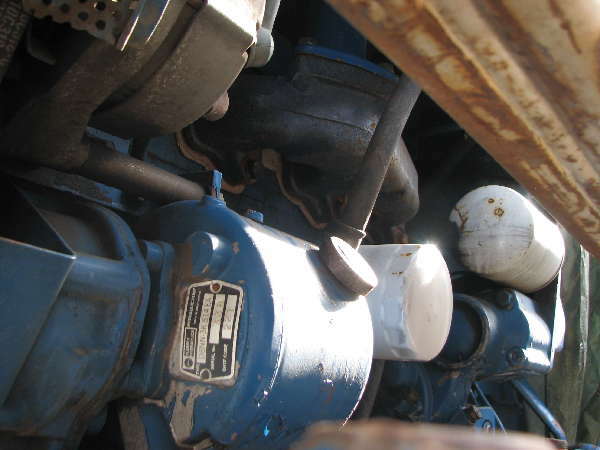 The 3pth is operated by hydraulics contained within the rear axle housing of your tractor. Like any hydraulically powered moving part it depends on O rings and seals to contain the pressure. All of those seals are spec'ed out it is based on a set working pressure and load. When the seal is compromised, usually by over-loading, they develop a weak spot that makes a permanent slow leak past that seal. Something as simple as hitting a bump while traveling at speed while carrying a heavy load on the 3pth will do exactly this. Unfortunately the only solution is surgery, the defective seal 9in this case inside your rear axle) needs to be replaced. That's not really a question that can be answered until you know what seal is leaking and why. It could be in either the control circuit or the lift circuit. Your best bet would be to speak to your dealer, or another bigger dealer, bigger dealers often get more exposure to different types of repairs and so have a better handle on the cost of those repairs. some tractors have access plates or exposed cylinders, that can make a huge impact on the cost of repairs like this which are mostly labour charges.